The company is equipped with R&D and Testing facilities, for process innovations and product development. SPARSH is committed towards creating a culture of excellence through the people development and employee friendly approaches. 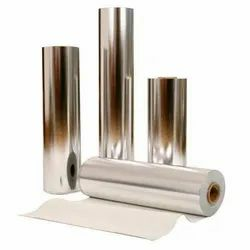 flexmetprotect™ high barrier metallized films is the ultimate solution for packaging a wide variety of products that require extended shelf life apart from host of applications in the textile and capacitor industries. Owing to a long-term destination for our business, we are engaged in offering a wide gamut of Micron Metalized Films. Jindal Poly Films Ltd commenced the first metallizing production in January 2003 using sophisticated technology. We have world class Metalizers from Applied Materials, Germany. Warm and comfy Oven Mitt to protect you from burns and other similar hazards. Available in attractive designs and shapes these gloves not only serve the purpose of protecting your hands but also help you look good and make a statement. All of our gloves are made with the best quality material and are very durable.